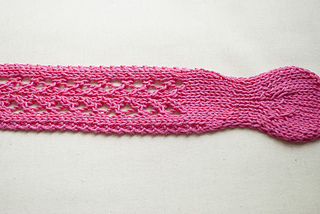 Easy and sweet headband that I designed to teach my knitting students. 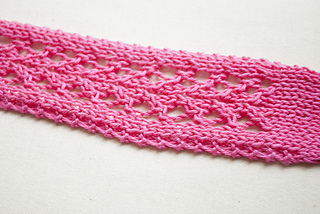 Great to learn and practice increases, decreases and lace. 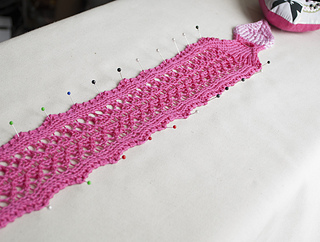 This headband is knitted sideways, first increasing stitches to get the shape of a leaf, then a central section is worked to give length and finally a button hole and some decreases will create the second leaf. 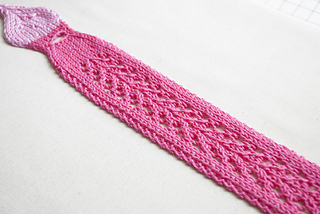 The lace pattern is charted and written. Please match your gauge for best results.